After an acclaimed run as Queen Elizabeth II on "The Crown," Claire Foy steps into the shoes of Lisbeth Salander in "The Girl in the Spider's Web"
Most serious actors and actresses hate being typecast because that means they’re only good at performing in a particular role. The most talented actors and actresses will do different kinds of roles and excel in each of them while also seamlessly moving from one role to the next. After two seasons of playing the young Queen Elizabeth II in The Crown, Claire Foy and some of the cast stepped aside for another set of actors to play the Royals in middle age. Foy, of course, was so good that she won a Golden Globe for the role in 2017 and an Emmy for the same role in 2018. How then could she establish herself as someone completely different from Elizabeth? Enter Swedish hacker Lisbeth Salander. In The Girl in the Spider’s Web, Foy takes over for the role that Rooney Mara earned an Oscar nomination for in 2011. After the events from The Girl with the Dragon Tattoo, Lisbeth’s efforts as a hacker have taken a more active slant as her exploits are mostly against men who harm women. When she is approached by computer programmer Frans Balder (Stephen Merchant) to retrieve a program that can get access to the world’s nuclear codes, Lisbeth draws the attention of the FBI. Agent Edwin Needham (LaKeith Stanfield) hunts for Lisbeth in Stockholm even as she, Balder, and Balder’s son August (Christopher Convery) are attacked by a mysterious group. Turning to her former lover Mikael Blomkvist (Sverrir Gudnason) for help and shelter, she is shocked to learn that a decision made in her past has come back to haunt her in the present. In addition to Foy succeeding Mara, Gudnason also followed Daniel Craig in the Blomkvist role. Though the transition is largely smooth for both, not having an established actor like Craig and having an almost unknown entity in the same role is noticeable in my opinion. After taking off the queen’s crown, Foy recently played a psychotic patient in Unsane, and astronaut Neil Armstrong’s first wife in First Man this year. Clearly, she is trying to showcase her versatility in both physical performances and with the accents she takes on. By becoming the very Scandinavian Salander, complete with her tattoo, piercings, and leather fetish, all notions of the Queen of England are wiped away within minutes of screentime. It is unfortunate that neither of the books that Millennium series creator Stieg Larsson as sequels to Dragon Tattoo followed the first film for a movie adaptation. Instead, what we have is the novel by David Lagercrantz, who wrote the fourth and fifth novels in the same series. 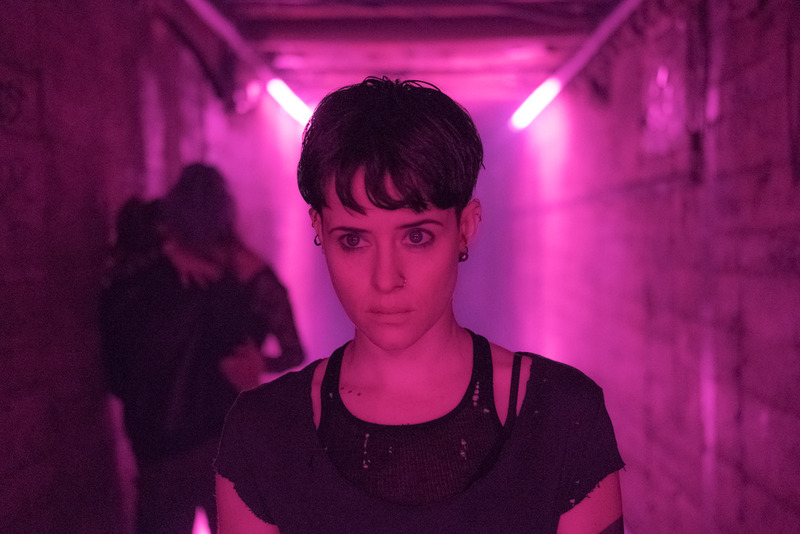 Director Fede Alvarez had the unenviable task of bringing his own vision of Lisbeth’s adventures to the big screen after acclaimed filmmaker David Fincher did so seven years ago. There are parts of Spider’s Web that are a bit dragging though the climactic action sequence was quite something to behold. Adding a layer to a main character’s difficult past has been done a few times in recent action film franchises with varying degrees of success, so doing so for Salander is nothing new. However, since we had only seen her in one previous film, perhaps this was not the most prudent story to get a film adaptation. If Foy, Gudnason, or other members of this production do get to return to the Millennium series, I’d like to see the chapters written by Larsson himself get their time to shine.